Fast forward into the future, and we have a full fleet of trucks and 10 years of experience providing quality towing and vehicle transport services to all of Sydney. The important part is, we are still enjoying providing a valuable service to the community. With success our years in business have brought, the future is bright, and we do not intend to compromise our quality towing services now or in the future. Southside Towing offers a complete variety of tow truck and tilt tray services to cater your towing services for just about anything. We are the towing company that is there with a smile when the car breakdowns, knowing our customers’ needs are not out of our realm but will be easily handled. We are there in the unfortunate event of an accident, quickly securing the scene and helping our customers to safety. When the company fleet of trucks needs to be moved across town; why be inconvenienced with multiple trips. We will easily transport your fleet on our multi-carriers for safety and ease. There is no towing service that we cannot provide, any hour of the day. Emergency towing is urgent; leaving car owners in an anxious state. Emergency towing in Sydney requires an urgent response. With our tow truck drivers on standby 24 hours a day, we deliver a rapid response no matter where you are located. There is no towing job too small for Southside Towing. We transport your car, truck, motorbike, or bus safely. The future is bright with towing services a simple dial away. One call and we are there. We are a company that knows and understands the urgency of emergency situations, just as we know and understands that budgets are tight. We have the years of experience in the industry you require, and a team of first-rate tow truck drivers with well-maintained tow trucks to handle all types of situations. 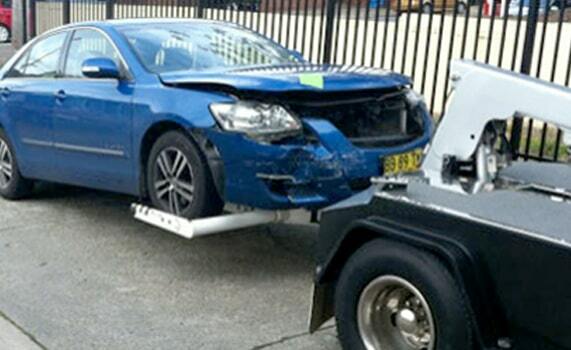 Southside Towing Sydney provides emergency tow truck services in the event of a breakdown or car accident. Why Choose Southside Towing Sydney? Southside Towing Sydney is a leader in the industry and the community. We work for our customers to have the security of knowing they have a towing service Sydney that they can rely on for quality services at all hours. Welcome to Southside Towing Sydney. We provide the best in tilt tray and tow truck services in the greater Sydney area. There is no transport towing need service call that we cannot fulfil. Our fleet is one that includes fully equipped tilt tray trucks that can handle everything from new & used car transport and heavy machinery. We are prepared for your unfortunate experience of a breakdown or accident that leaves your car inoperable. We know that word of mouth from satisfied customers, great ratings on review platforms, and plenty of information on our website is not enough to say that we are the best professionals to handle your situation. Southside Towing is also a fully licensed towing company with the experience that may make the difference between saving your life in a roadside breakdown or accident situation. We adhere to the strictest and highest safety standards and rigorously train our already experienced tow truck drivers for all types of situations, and all safety procedures. With each call we are called to, we understand that safety is the priority, not just a fast, reliable tow. Southside Towing is the Best Equipped Towing Company in Sydney that is fully prepared regardless of your emergency. For more information on our quality towing services at prices that fit the budget, contact us at the number below. We are here to deliver safe and reliable towing.